* A clear and practical guide to homeopathy, its history, uses and benefits * Learn how to use homeopathic medicine as a safe and effective treatment for minor ailments such as colds, fevers, eye infections, indigestion and hay fever This title also gives treatment advice for injuries such as sprains, strains, bruising, minor cuts and grazes and burns. It includes homeopathic remedies for emotional issues are also discussed, for example using ignatia for grief, pulsatilla for comfort, aconite for fright and valerian for insomnia. It offers guidelines for creating your own homeopathic first-aid kit. It comes with easy-to-follow instructions and helpful hints and tips, the book is illustrated with 100 photographs. Many people who want to have greater control over their own health turn to natural therapies to treat themselves for minor ailments. Homeopathy, regarded as one of the safest, most effective ways of restoring the body's own natural defences and creating harmony from within, is concisely explained in this authoritative but accessible book. Homeopathy works on the body to relieve illness by treating the patient holistically and advice is given on diagnosing and treating everyday ailments at home - including infections, aches and pains and anxieties - for the whole family. 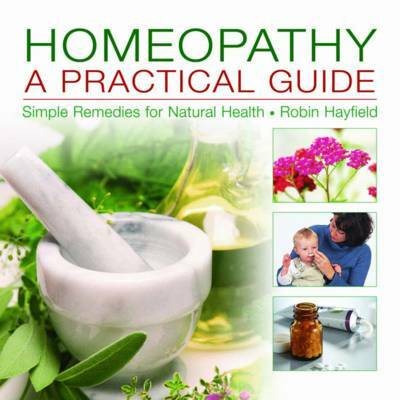 There is also a clearly illustrated guide to 42 of the most commonly used remedies and their sources, from Allium cepa, used for hay fever and irritated nose and eyes, to Viburnum opulus, which alleviates severe cramping and muscle spasms. With its easy-to-follow format and essential information, this handbook is an invaluable source of self-help and reassurance for anyone wishing to explore this non-invasive form of medicine.